This year our family, again, received season passes to Perfect North Slopes in Lawrenceburg, Indiana. We have already used them half a dozen times (I know, we haven’t even experienced a good snowfall yet) already breaking even on their value. I must say, skiing in 45 degree weather, often with the sun shining down is a wonderful experience with young children. Perfect North has done an amazing job of keeping the conditions good during this unseasonably warm weather. Apart from being able to truly enjoy the outdoors this time of year; skiing has offered our family an activity to do together that we all enjoy and allowed us to get to know our daughters even better. It’s been very rewarding watching their skills and confidence increase each time we visit the mountain. When the girls get a little board, we go tubing or they switch to snow boarding and try their skills there. The resort itself is very family friendly and nicely maintained indoors and out. The atmosphere is one of community where families and strangers alike share tables and meet to ski, eat and enjoy a warm fire, hot chocolate or spirit of choice. The resort itself does not serve alcohol and families are free to pack their own food and drinks. They also have a wide selection of food and beverages to choose from at reasonable prices. If you are going out for the first time, I might caution you on holidays as they are very popular times. Generally we choose to get out early on holidays or weekends to avoid the crowds that gather later in the days. I encourage you to check it out; it’s not the Colorado Rockies but it’s “right over there.” It takes us 30 minutes door to door from Ft. Wright, KY to Perfect North Slopes. If you decide you must keep going back, season passes are the way to go and there are many options to choose from to suit you or your family. 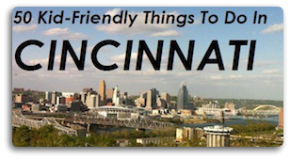 When not blogging for Family Friendly Cincinnati, you can find Phyllis blogging at her personal blog CincyHealthCoach.com.